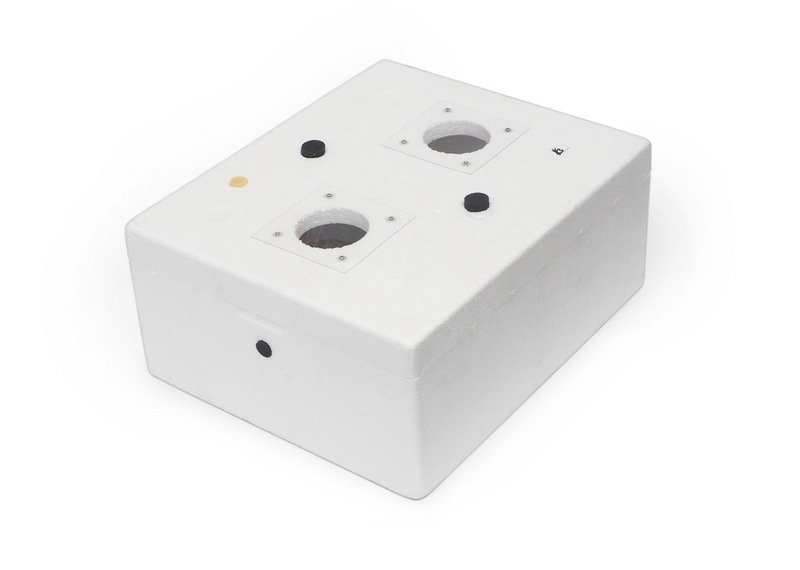 Br-Box 54 – the new Br-Box series (54 eggs) incubator, characterized by a traditional foam plastic body and a lamp unit for heating. 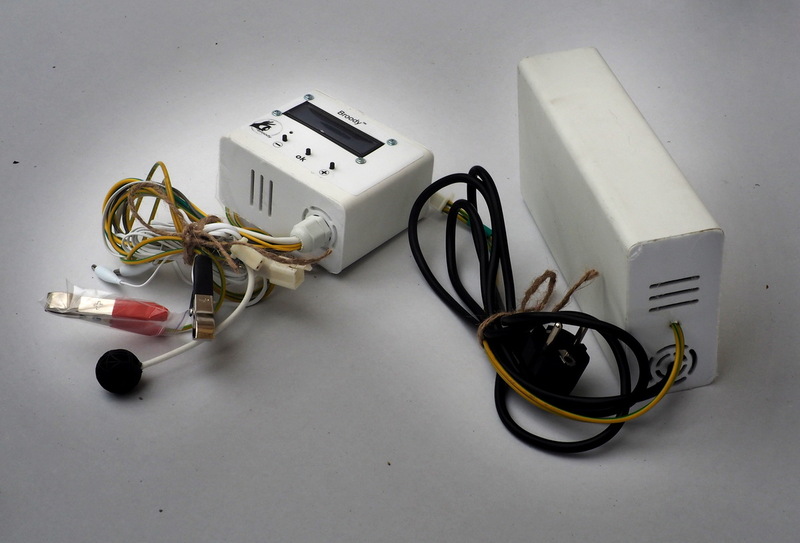 Egg incubator Br-Box 54 is a representative of a budgetary series of incubators with electronic control of heating, humidity, period and time of turning eggs. 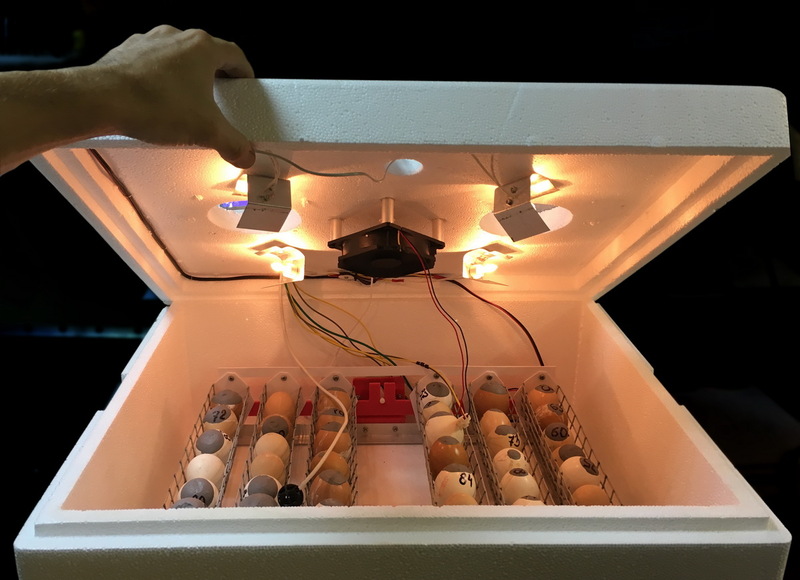 Incubator capacity: 54 chicken eggs (average weight 50-55 g), 48 eggs (compare weight 65-75 grams). 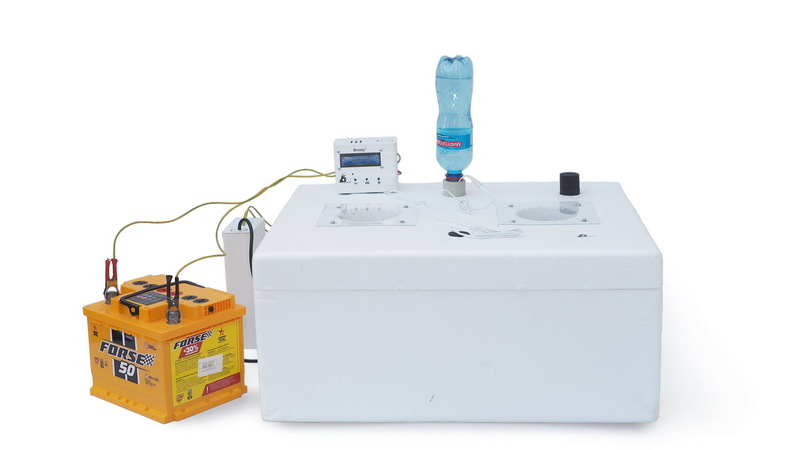 The incubator tray, similar to the Micro Battery 50 model tray , is equipped with a 12V safe power supply and six net cassettes for eggs. 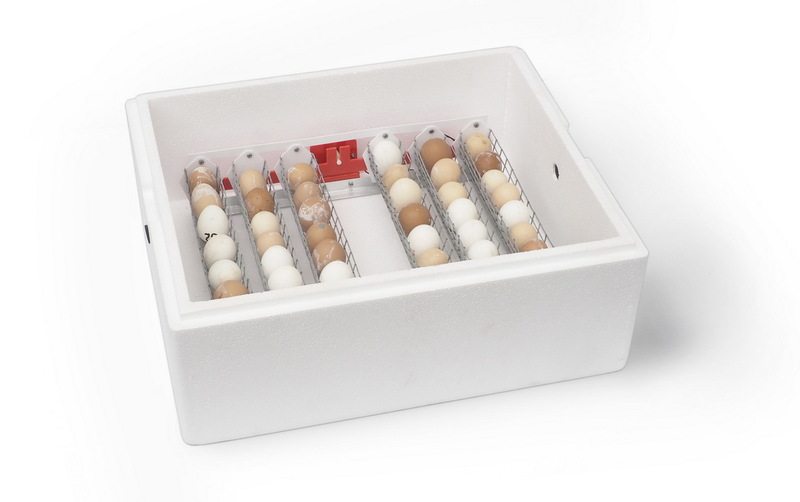 If necessary, a special mesh insert Q28 * is inserted into the tray cassettes for quail eggs. 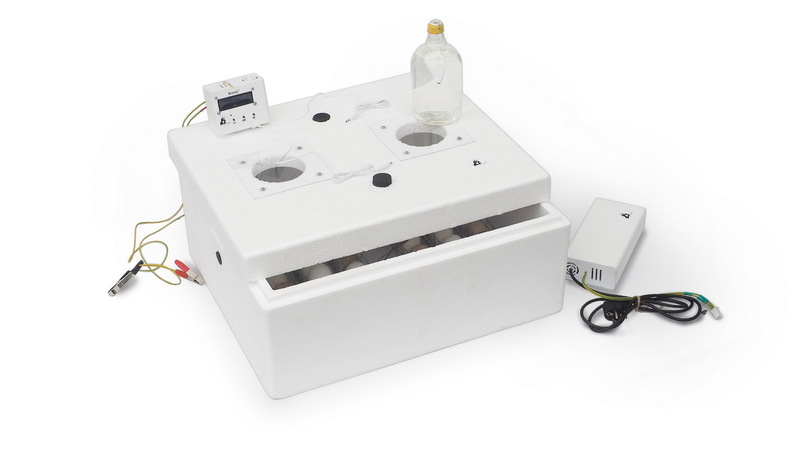 The capacity of the incubator with quail liners is 168 quail eggs. For the withdrawal of eggs with an average weight of 80-150 grams, such as a goose, a universal tray with enlarged cassettes for goose eggs is used. 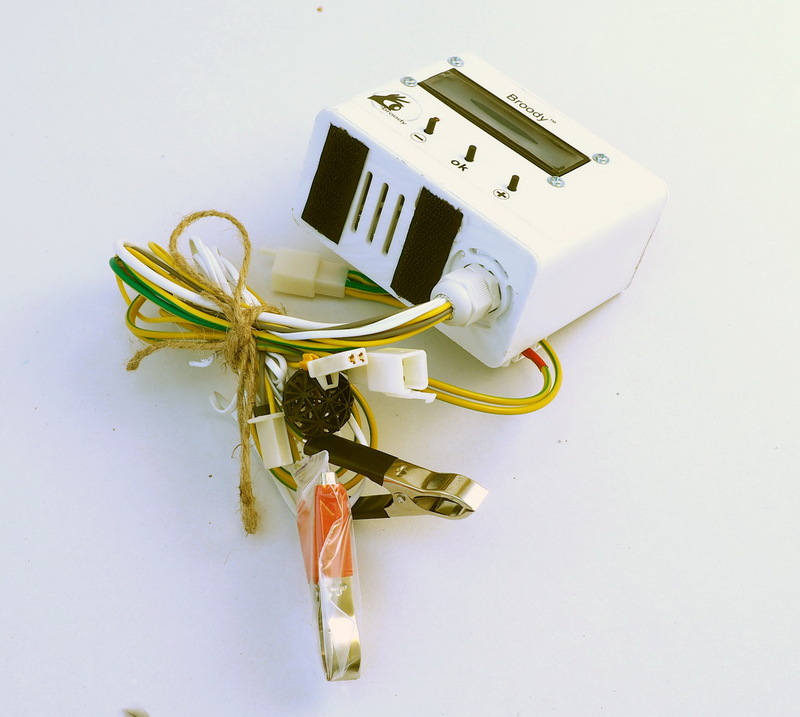 All energy users of the incubator use 12 volts supply, which provides an external power supply unit, which is included in the delivery package. 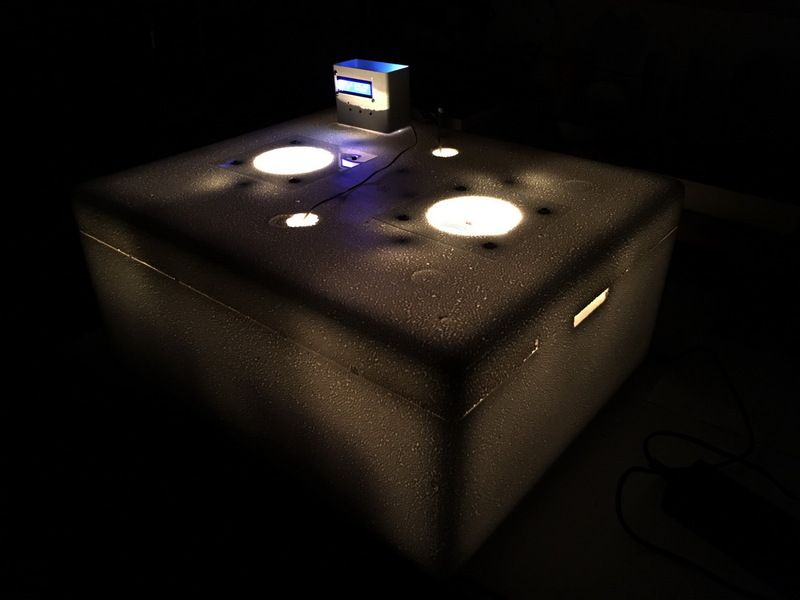 The Br-Box 50 incubator is equipped with an efficient humidifier with hydro-aeration nozzles capable of creating almost 100% humidity in an incubator in a few minutes (97% maximum humidity). 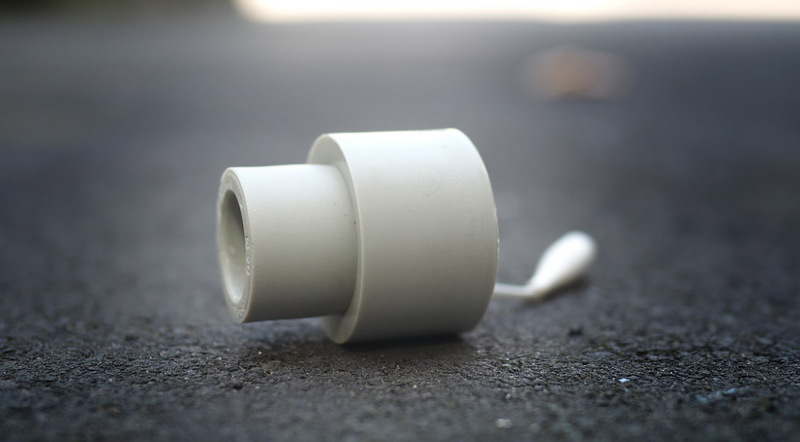 The nozzles are made in the standard of thread plugs from conventional PET bottles for food liquids. 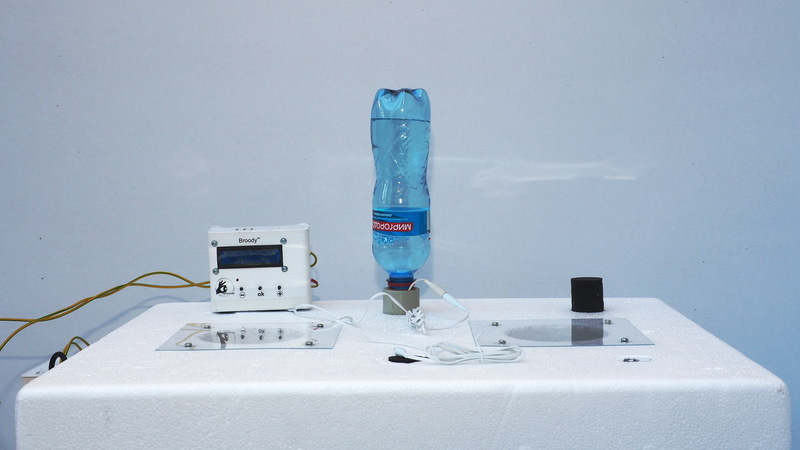 Thus, the consumer can use any plastic bottle (500-1200 ml capacity) as a reservoir for water. 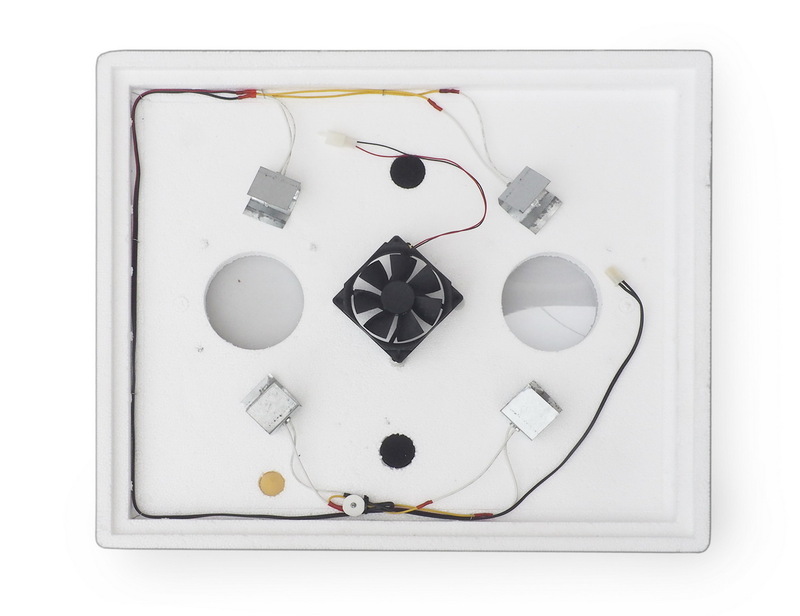 Due to the increased thickness of the walls of the foam body of the incubator (3 cm), an extremely low power consumption is achieved – 25 watts nominally, 45 watts maximum at the initial heating. Such indicators give the opportunity to work from a car battery for more than 30 hours! 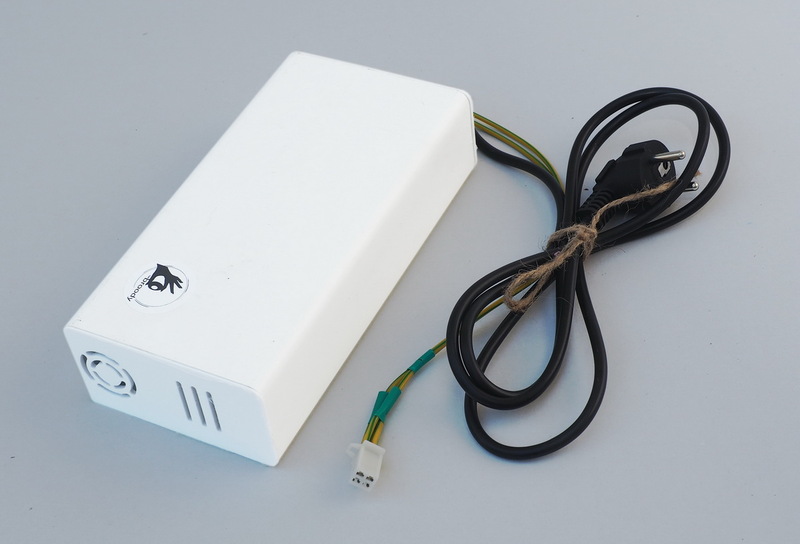 In this case, the transition to work from a backup power source and back from the network is automatic. 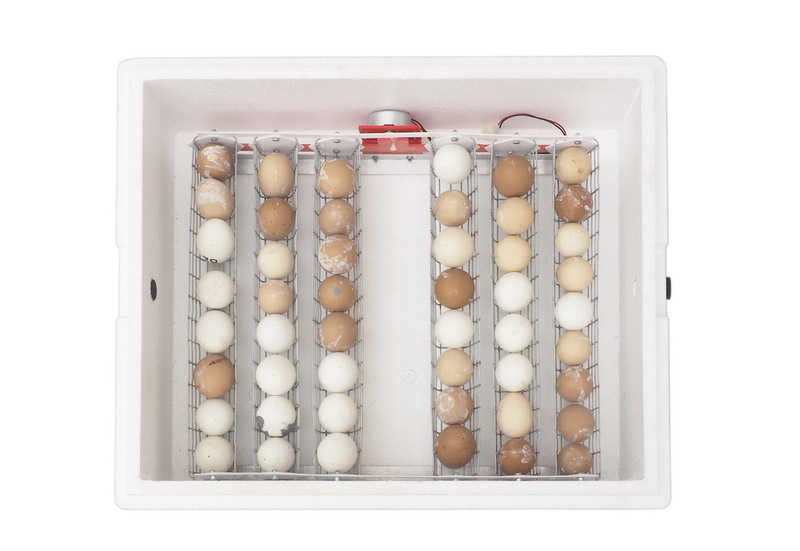 The incubator tray is equipped with a motor and allows the egg to be turned with any duration and interval – these parameters are set by the user using the control unit. 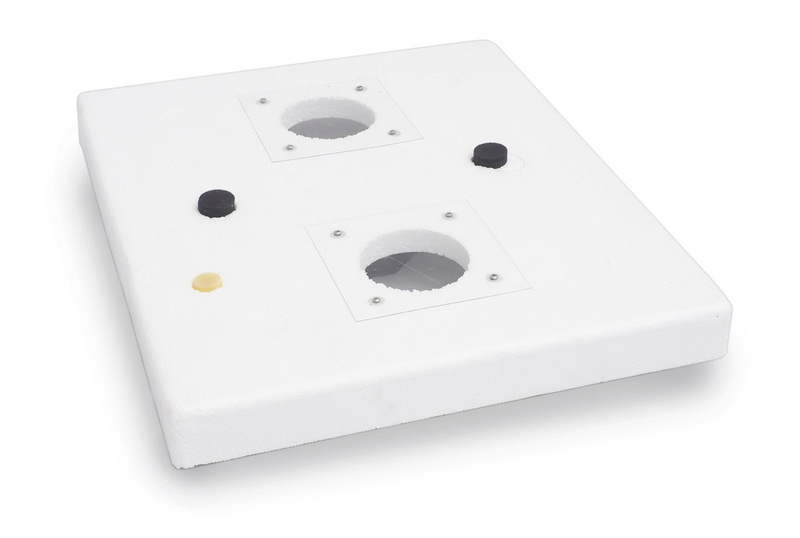 The mesh cassettes of the tray are made of steel mesh with a galvanized coating resisting corrosion in conditions of high humidity. In addition, mesh cassettes make it possible to exclude areas of uneven heating of the egg surface, since they allow free air circulation on all sides. 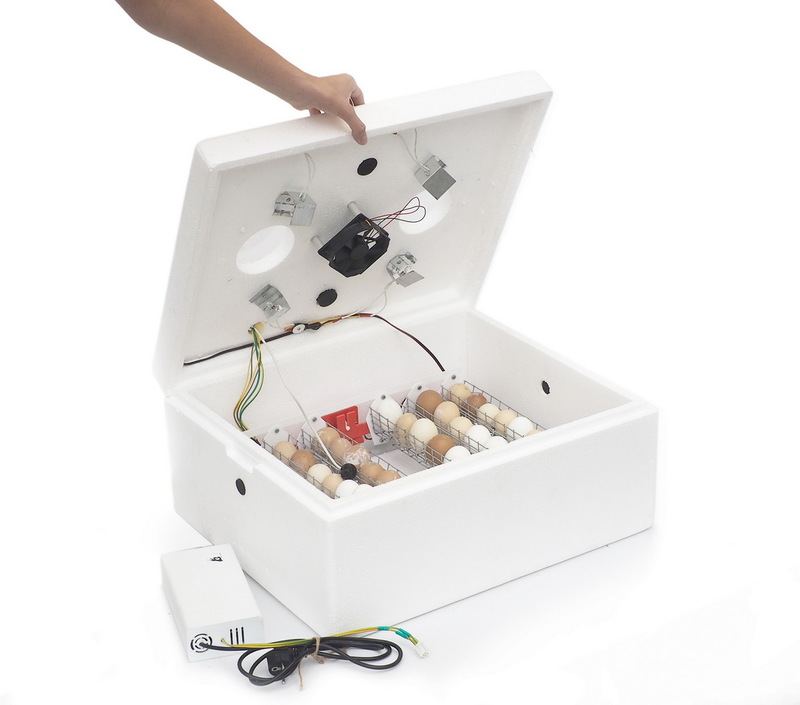 The incubator Br-Box 54 is intended for poultry-lovers engaged in breeding birds of different breeds in households. 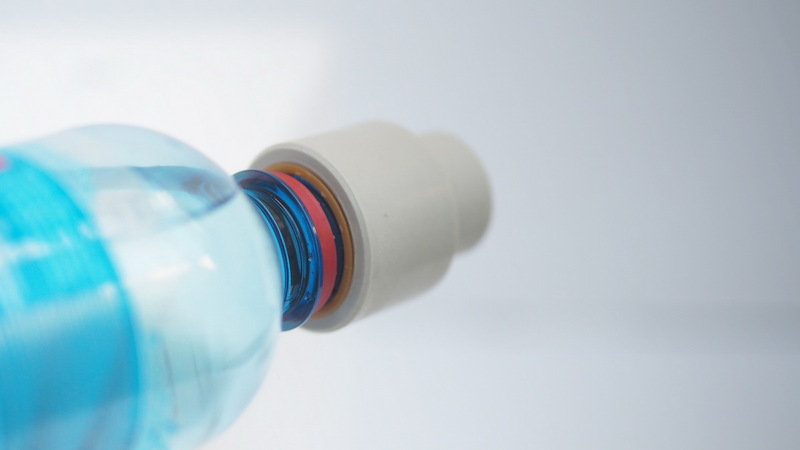 * Q28 insert is not included in the scope of delivery – it is purchased separately.